This Sunday I will be preaching about Peter’s peculiar desire to make three dwellings for Jesus, Elijah, and Moses on the mountain during the transfiguration. In his words, I believe, was the desire to remain on that mountain in order to continually experience God’s radiance. However, life is full of both mountaintops and valleys. It was good for Peter to experience the transfiguration; it was not good for him to try to prolong it. 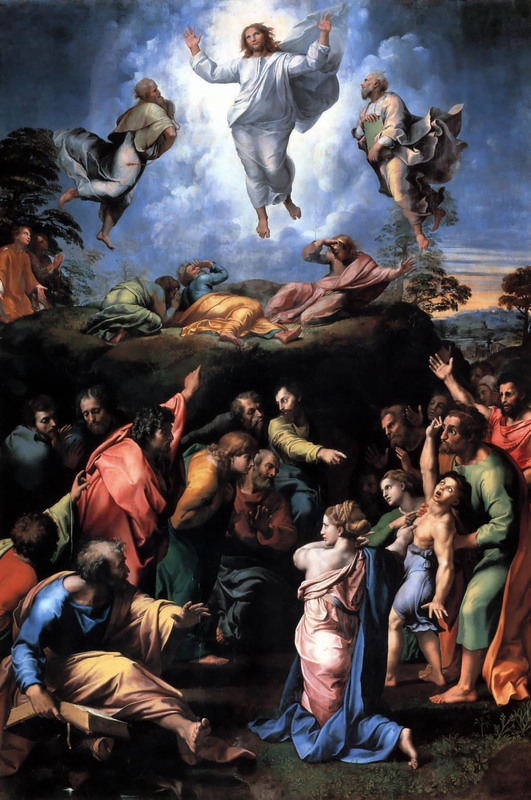 Raphael’s The Transfiguration captures the incredible contrast between the mountain and the valley. The top of the frame witnesses to the glory and radiance described by the synoptic writers, the beauty of that striking event. The bottom shows the tragic need and suffering of the disciples. The image serves to help connect the two seemingly opposed experiences. Our lives are made up of both joy and suffering, righteousness and sin, success and failure. It is in a painting such as this that we are reminded of the true value of the incarnation; God came in the form of flesh in Jesus Christ, fully God and fully human, to be celebrate with us in our triumphs and weep with us in our sorrows. Teach me, O Lord, the way of your statutes, and I will observe it to the end. Give me understanding, that I may keep your law and observe it with my whole heart. Lead me in the path of your commandments, for I delight in it. Turn my heart to your decrees, and not to selfish gain. Turn my eyes from looking at vanities; give me life in your ways. Confirm to your servant your promise, which is for those who fear you. Turn away the disgrace that I dread, for your ordinances are good. 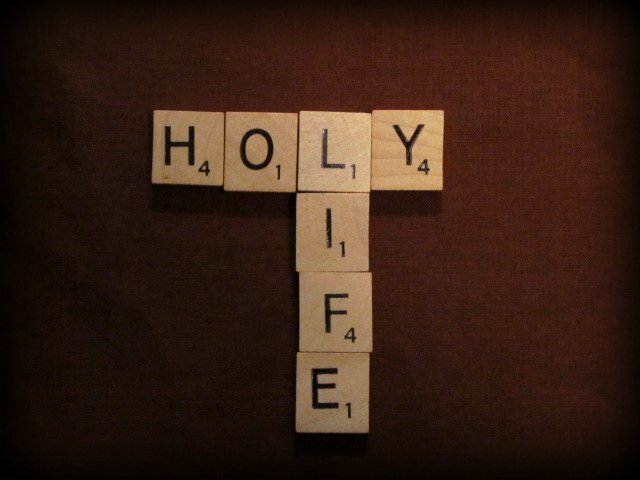 See, I have longed for your precepts; in your righteousness give me life. “You have heard that it was said, ‘You shall love your neighbor and hate your enemy.’ But I say to you, Love your enemies and pray for those who persecute you, so that you may be children of your Father in heaven; for he makes his sun rise on the evil and on the good, and sends rain on the righteous and on the unrighteous. For if you love those who love you, what reward do you have? Do not even tax collectors do the same? And if you greet only your brothers and sister, what more are you doing than others? Do not even the Gentiles do the same? Be perfect, therefore, as your heavenly Father is perfect. 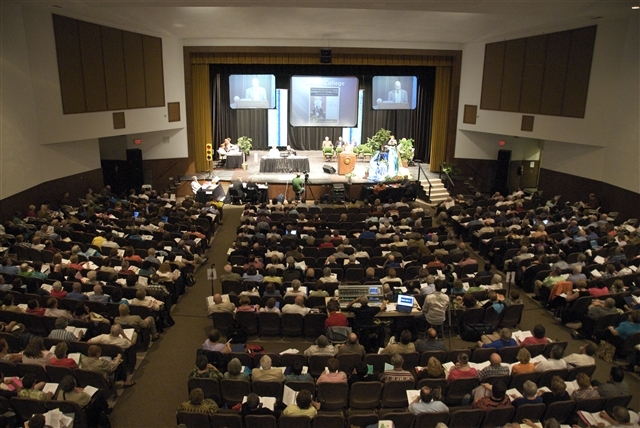 Annual Conference is that one time of the year that all the diehard Methodists get together for a weekend of facts, faith, and fellowship. Representatives from each church gather in an effort to discuss contemporary issues facing the church, learn from various speakers, and celebrate the ordination and retirement of particular clergy. A few summers ago, while serving a church outside of Detroit, Michigan, I was invited to attend the Detroit Annual Conference session. I listened to members of the conference debate whether or not to give more money to fight against malaria in Africa, how to address concerns over our pension system, and arguments about what it means to pray for physical healing in the church. Toward the end of the session, we came to my favorite part of every Annual Conference, The Service of Ordination. People, young and old alike, who felt the call of God on the lives to pursue a life of ministry, folk who have worked and sacrificed for years to be standing in front of all the people, were preparing to be commissioned and ordained for work in the church. As the small group of adults stood shoulder to shoulder on the stage I wondered about their backgrounds, where they might be appointed, and what kind of ministerial careers they would have. Dressed in their robes, the candidates prepared to answer the traditional Wesleyan questions that thousands of Methodist clergy have had to answer over the last two centuries. Most of the responses we completely in sync, except for one woman toward the end. Instead of answering like her fellow peers, she shook her head as if to say no, while her voice said yes. For that one clergy candidate, achieving perfection was something that she was clearly unsure about. I imagine that she understood her own fallibility, her sinfulness, as preventing her from ever being perfect. Moreover she probably thought that only Christ could be perfect and that it would never be possible for her. Here we are again, caught up in Jesus’ Sermon on the Mount. It was hard enough that he told his disciples to not lose their tempter, to not lust, and to renounce the right to retaliate; but now Jesus is instructing us to love those who hate and harm us. Really? Jesus is like that boss or parent that knowingly give us a list of things to do that we can never accomplish. Why does Jesus expect the impossible from those who follow him? Two important questions arise from Jesus’ declaration: Who is my enemy? ; Why am I supposed to love them? Enemy number 1: Those who are evil. Anyone who takes advantage of the weak, anyone who promotes violence in power struggles, and anyone who exhibits evil in the world is my enemy. They are the ones who actively seek to work against God’s love and kingdom in the world. They are the people who participate in destructive tendencies toward others and are fans of violence, subjugation, and selfishness. Enemy number 2: My friends and family. In many ways, some of our greatest enemies are those who are closest to us. Our friends and family are the ones who set expectations for what our lives are supposed to look like. They are the ones who know whether or not we are living up to our potential. They see our truest sides, they know about our weaknesses, they remember our history. When we create walls between ourselves and those who are close to us, we often do so because we are afraid of being too vulnerable with them, we fear what they can do to us. Enemy number 3: Ourselves. I am my own worst enemy. I am the commander of my life. I am responsible for the choices and decisions I make. I know my own weaknesses better than anyone else, I hold myself to a standard that, when not met, leaves me feeling down and blue. I have more power than I should regarding the hearts, minds, and souls of so many people in my life, and if I abuse that power, I become an even greater enemy than anyone else in my life. When we hear that Jesus calls us to love and pray for our enemies we do well to not relegate our enemies to far away and distant peoples. Our worst enemies might be sitting here with us in church this morning. We all have enemies in ways, that sometimes, we cannot even imagine. That neighbor who always trims your bushes, or that acquaintance who always takes advantage of your hospitality, or that stranger who belittles people at the supermarket are just as much our enemies as those who bring and promote terror across the world. For the Christian, the words neighbor and enemy are synonymous and are remarkably far reaching. And Jesus tells us to love them, and to pray for them. So, why? Why are we supposed to love those who hate and persecute us? Why does Jesus call us to love the people who often make our lives miserable? We are not called to love them in order to change them. Thats not the point. Certainly the conversion of an enemy to a trusted friend can be the result of our discipleship and call to love, but it is not necessary, nor should it be our motivation for loving our enemies. Love is not a weapon or a tool. Genuine love has not ulterior motive; its purpose is simply to benefit the one being loved, regardless of the response. We are called to love unconditionally. If you love someone, enemy or not, in order to change them, they will never change. Our love for others should not come with baggage but must be the same as the free and unconditional love and grace that comes to us from God. We love others because God first loved us. Elsewhere in the world, it is normal to return love for love and hate for hate. Christians who do no more than this fade into the background of life. They cannot be the light of the world and salt of the earth. 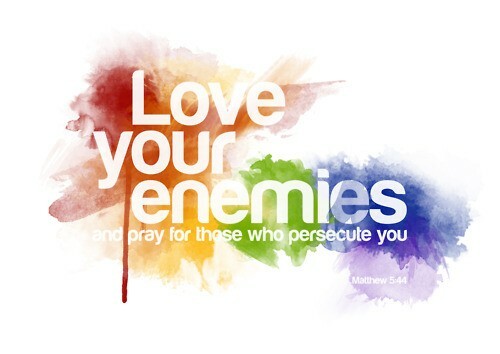 Love your enemies and pray for those who persecute you so that you may be children of your Father in heaven. This kind of love is less about feelings and more about actions. For the early Christians to love the Roman oppressor or the face slapping persecutor was not about having “warm and fuzzy feelings” but to react in a positive way. I know that we have been trained to think of love as a feeling, particularly in the wake of Valentine’s day, but love is something you DO. That why Jesus calls his disciples to go the extra mile and turn the other cheek; physical embodiments of love for our enemies. Whatever else you can do to love your enemy, Jesus leaves it up to our imaginations as to how we can do so. Our love for others is called to be abnormal, above and beyond what the world would be satisfied with. In addition to the embodiment, the DOING, of love, we are also called to pray for our enemies. You have heard it said that if you do this its enough, well to Jesus we can always do more, we can always be better. Loving our enemies is one thing, it is difficult and taxing, but praying for our enemies is another thing altogether. Praying for our enemies requires us to seriously attempt to see them from God’s point of view. 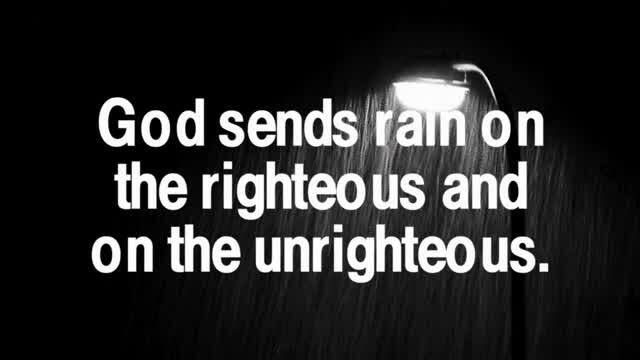 The sun rises on the evil and the good, and God sends rain on the righteous and the unrighteous. We cannot truly pray for our enemies without acknowledge our common humanity; our enemies have been created in the image of God, just as we were. And no matter how bad they are, no matter how nefarious, no matter how sinful, nothing can ever erase God’s image from their lives, nor from ours. The call to pray for our enemies is like being a parent who can earnestly say to their child, “I love you, but I don’t like what you’re doing.” Praying for our enemies will always fall short unless we remember that God love us just as much as our enemies. Seeing them in the light of God’s love is the first step toward loving them, and praying for them. So, is this even possible? Are we capable of loving and praying for our enemies? Can we be perfect? If we try to do it on our own, it is impossible. Only by the grace of God, only with God’s help, can we heed Jesus’ call to love and pray for our enemies. Truly I tell you, this is one of the most difficult aspects of being a Christian. We are called to an impossible life, if we try to do it on our own. Christ is not asking us to simply “like” everybody, but rather to act and pray in love toward those we like and those we do not like. At our Lectionary Bible Study this week, we sat in one of the Sunday school rooms and read this text out loud. As usual, many of the comments and questions were quite profound leading toward a greater understanding of the text for all of us. As we were coming to the end of our time together, Betty Hairfield offered a story regarding this idea of perfection. Years ago, while Betty was in college, she began worshipping at a United Methodist Church because it was closer to campus than the denomination she grew up with. One day Betty was told about the question of perfection that all ministerial candidates were asked about. Like the woman who shook her head while saying “yes,” Betty kept the words close to her heart and she began to understand the depth of the question: “Are you going on to perfection?” For Betty, this was a transformative moment. If perfection is not our goal, then whats the point? Why should we continue to worship a God who loves unless we try to live better lives. That realization, that question of perfection, is what led Betty to join the United Methodist Church. We are not called to be content with the mediocrity of discipleship but instead we are called to live radical and abnormal lives. Like the psalmist we need to pray for God’s wisdom and grace to be the kind of people who can change the world. We need to strive to be better than good, to live into the new reality that Jesus established with his life, death, and resurrection. Love and pray for those who are evil, for your friends and family, and for yourselves! Are we going on to perfection? Yes, but only with God’s help. Now therefore, O kings, be wise; be warned, O rulers of the earth. Serve the Lord with fear, with trembling kiss his feet, or he will be angry, and you will perish in the way; for his wrath is quickly kindled. Happy are all those who take refuge in him. I love working on my sermons in any place other than my office. When I sit at my desk I become easily distracted by the many other responsibilities that I have in ministry, and I discover that my focus is not on the words before me. So, whenever I have the opportunity, I work on my sermons at local coffee shops in and around Staunton. One of the greatest advantages of working on a sermon at a coffee shop is that most people see me sitting with a bible and a computer and they see me as someone strange, and therefore leave me alone to work diligently. (However, sometimes this backfires because people see the bible and begin to confess to me their most recent and devastating sins…) I enjoy working on proclaiming God’s word outside of the church building because it helps to inspire and remind me of the totality of God’s grace beyond the walls of his churches. Candidate: Should I start attending church? Politician: Well, do you believe in God? Politician: In this town, you should start attending whether you believe or not. If people here believe that you believe, they’ll believe in you. So, yes, start attending (he then listed some of the prominent and most well-attended churches). When you give speeches you need to talk about how you feel God calling you to this office even if you don’t believe it. 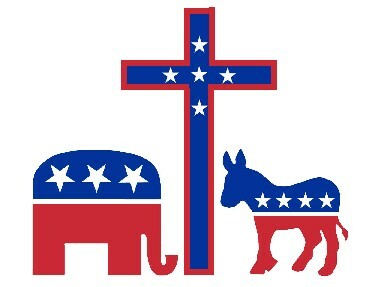 The religious folk will be more likely to support you if they think you’re religious. Candidate: Okay, I think I can do that. Politician: Good. I’m going to coach you: I’ll teach you hold to hold your hands when talking, how to dress for debates and fundraisers, and how to talk about God being on your side of this campaign. The psalmist warns the rulers of the world: serve the Lord with fear and with trembling. Our God is not one to be messed with. To frivolously throw around the call of the Lord on one’s life is to invite chaos and tribulation. As I listened to the politicians discuss how to play into the religious sensibilities of the people of Staunton I began to wonder about all of our desires to attend church. Do we worship God so that other people will think better of us? Or do we worship because God so loves us that there is not other way to respond? So, as we prepare to begin a new week I caution us to remain committed to the life of discipleship that we have been incorporated into. If our faith hinges on the approval and expectations of others it cannot be fruitful for our lives. Faith can only become real when our hearts are set aflame for Christ. You have heard that it was said to those of ancient times, ‘You shall not murder’; and ‘whoever murders shall be liable to judgment. ‘But I say to you that if you are angry with a brother or a sister, you will be liable to judgment; and if you insult a brother or sister, you will be liable to the council; and if you say, ‘You fool,’ you will be liable to the hell of fire. So when you are offering your gift at the altar, if you remember that your brother or sister has something against you, leave your gift there before the altar and go; first be reconciled to your brother and sister, and then come and offer your gift. Come to terms quickly with your accuser while you are on they way to court with him, or your accuser may hand you over to the judge, and the judge to the guard, and you will be thrown into prison. Truly I tell you, you will never get out until you have paid the last penny. Unless your righteousness exceeds that of the scribes and the Pharisees, you will never enter the kingdom of heaven. Lets assume that all of us are here this morning because we want to be good people. We see what our lives look like on a daily basis, and we recognize Sunday mornings as opportunities to better ourselves, to hear about the kind of people we are supposed to be. Lets also assume that we are already fairly decent people. I mean look at us. We are sitting here in church on Sunday morning, thats certainly doing better than the people who are still sleeping in at home, curled up under their soft and warm blankets. Becoming a better person is what Christianity is all about, isn’t it? One of the main functions of any religion is to be shaped and molded into something greater than we currently are. This journey of faith is aimed at reconstructing ourselves so that we might resemble Jesus in the way that we live in the world. What drove them to such disregard for the Messiah who walked among them? What could have made them move from strict religious adherence, to crowds thirsty for punishment?Well, one answer is the scripture that we have today. We find Jesus here in the middle of the Sermon on the Mount. Let me set up the trajectory: Jesus was born in Bethlehem, escaped to Egypt with Mary and Joseph, returned to Nazareth, was baptized by his cousin John in the river Jordan, was cast into the wilderness by the Spirit to be tempted by the devil for 40 days and nights, began his Galilean ministry, called his first disciples, and then gave his Sermon on the Mount. This sermon marks the beginning of Jesus’ mission to God’s people. The words of the sermon will come to dictate who Jesus will serve, how he will share God’s grace with the people, and why he was dragged to the cross. The sermon begins like all good sermons, Jesus jumps right to the point: Blessed are the poor in spirit, for theirs is the kingdom of heaven. Blessed are those who mourn, for they will be comforted. Blessed are the meek, for they will inherit the earth, and so forth. You have heard it that it was said to those of ancient times, ‘You shall not murder’; and ‘whoever murders shall be liable to judgment.’ But I say to you that if you are angry with a brother or a sister, you will be liable to judgment; and if you insult a brother or a sister, you will be liable to the council; and if you say, ‘You fool’ you will be liable to the hell of fire. What a sermon this is shaping out to be. Jesus’ teaching is stricter than the law itself. He will go on to proclaim do not get angry, do not lust, do not swear, do not seek revenge, and do not hate your enemy. He takes the law and make it even harder to obey. Under the old law only murder and other extreme offenses were guilty of death, but under Jesus’ understanding angry temper is to be similarly judged. And he doesn’t stop there! Even those who would call others, “stupid” or “fool” are worthy of judgment by the court. For Jesus, anger is just as bad as murder. Killing is not done by knives, and guns, and fists alone, but by the angry words muttered between friends, or the casual indifference between classmates that often makes people feel less than human. Jesus looked out at the crowd and saw people worthy of love. His sermon is not just a message for Christians to follow regarding other Christians, but its a call to recognize the inherent value in all people. In Jesus’ day there was a custom of placing a large gold coin beneath the mainmast of most sailing vessels. For those who knew, this meant that even a wreck had value. Jesus recognized that value in all people, and called those with ears to hear to a life of grace, mercy, and love toward all people everywhere. “You have heard it was said to those of ancient times… but I say to you…” Thats a classic Jesus move. It is possible to be so good, and right all the time, that you are wrong. You can be so religious that you miss the point of religion. Legalistic adherence to the law can begin to overshadow the importance of love and grace in your daily living. Overvaluing the law can lead to a faith that is cold, calculated, dry, and dull instead of a faith that is warm, wide, fun, and forgiving. Jesus continues, “So when you are offering your gift at the altar (when you decide to place your offering in the plate) if you remember that your brother or sister has something against you, leave your gift there before the altar and go; first be reconciled to your brother and sister, and then come and offer your gift. Come to terms quickly with your accuser while you are on the way to court with him, or your accuser may hand you over to the judge, and the judge to the guard, and you will be thrown into prison. Truly I tell you, you will never get out until you have paid the last penny. A professor of mine in seminary told a story about a church in Africa that took this command quite seriously. Every Sunday morning the people would make their way to the church located in the middle of the village. Some with sleep still in their eyes would drag their lethargic bodies down the dusty road, continuing the same march they made every week. At the bottom of the steps leading into the small sanctuary, the local pastor would be smiling from ear to ear greeting everyone as they came forward, however the doors would remain locked. The crowd would grow and grow until everyone from the village was present, anxiously waiting outside the church. For the next twenty minutes, all of the African congregants would slowly make their way throughout the crowds searching for those who they had wronged, and who had wronged them. Now this wasn’t a town where you could just stand around and pretend that everything had been perfect since last Sunday. Everyone knew everyones’ business. That meant that they truly had to make peace with the collective church. Without the reconciliation, the people had no business entering the church to worship God. Only after the pastor was satisfied that everyone had been merciful with one another, were the doors opened and worship continued. Some might say that Jesus’ command that someone should leave their gift at the altar to reconcile with his brother or sister is a depreciation of worship; however, it is actually an exaltation of worship. Just as it happened for that African church, God sees our inmost motives, and we are called to worship God in truth. If we have baggage with others in the community, we mock God by coming before the altar instead of first reconciling ourselves with others. God is concerned with our lives and our worship; we cannot ignore one while participating in the other. I thought about doing something radical this morning. After reading the scripture for Sunday, and remembering the story from my professor, I wondered what it would have been like to stand outside those doors preventing all of you from entering today. 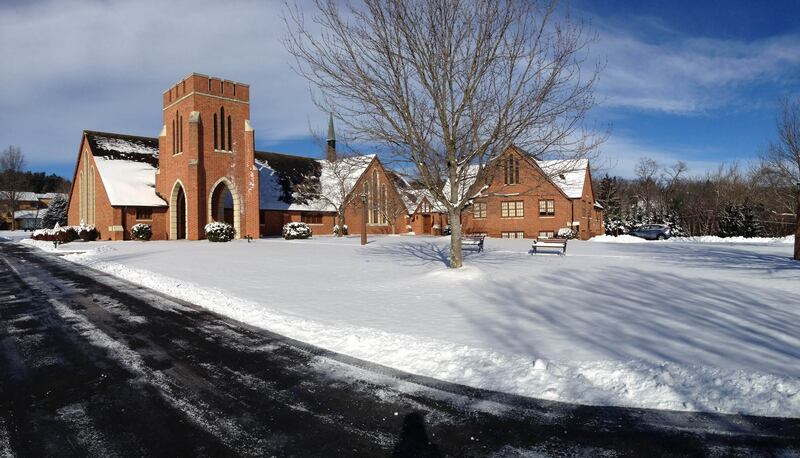 But, after having shoveled at the parsonage and the church the last few days in the cold, I thought better of it. Nevertheless, what would our worship in this place look like, if first we made peace with those in the pews, rather than anonymously continuing down our faith journeys all alone? 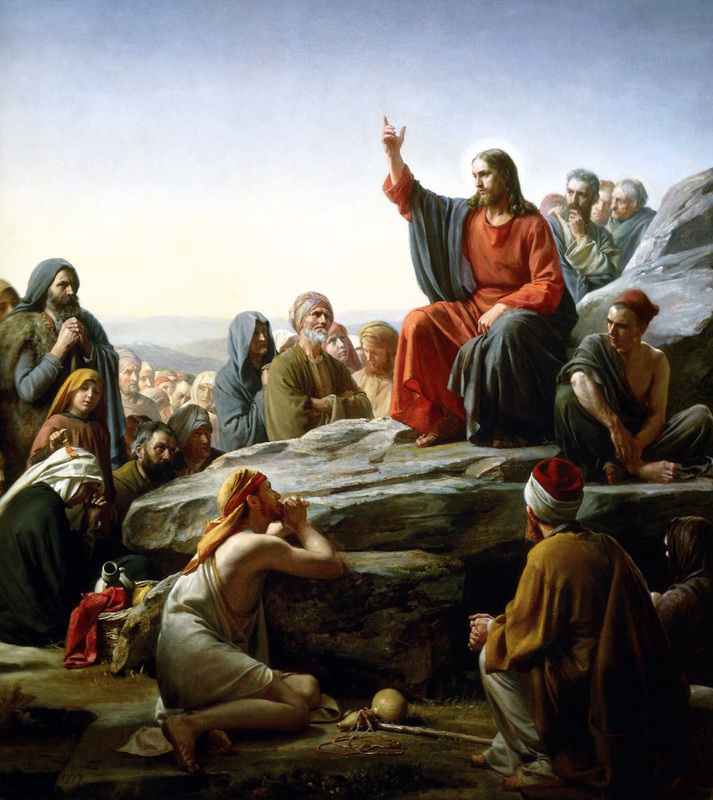 What Jesus presented to the crowd, what Jesus presents to us this morning is not so much a new law to be strictly observed, but instead a new way of living our lives. Jesus makes his point dramatically in order for a change of heart to take place. Jesus is here with us this morning, addressing us as he did to that crowd so long ago: You already know that you are forbidden to murder anyone, but now I’m telling you that you are forbidden to become angry with anyone. Call someone a fool and you’ll be worthy of punishment. Do you truly want to be good? Don’t just keep the law like the “good” Christians, go beyond the law. Challenge yourselves to be greater than following guidelines and lists. Strive to love those around you to such a degree that the world will be transformed into the kingdom of God. As a professor of mine once said, we are so accustomed to coming to a church like this and, if we should struggle and stumble with a passage like this one, it usually takes no more than 15 minutes for a skillful preacher, using the skills of story-telling, diversion, and trite formulaic expressions to explain it away. To reassure all of us that a nice person like Jesus never would have had a reason to say something tough to good people like us. I know of no way to do that with this text. No amount of pop-psychology or narratival reductionism can remove the true message of Jesus’ words. The tougher the text, the more likely it was to have come straight from the lips of Jesus. Being a Christian is no easy thing. It requires us to love greatly, and to forgive deeply. Now more than ever we need to reclaim the high call of Jesus’ sermon. Young people today find and seek validation in their peers and parents that, when not offered, leads to self-destructive habits. Just think of the cases of bullying that have recently dominated significant media attention. Words and actions are powerful things. We often do not realize how powerful we can be with our words, and how destructive we can be if we are not careful. Love is the key to all the commands of scripture, particularly Jesus’ sermon on the mount. Today, Jesus’ sermon is as hard to swallow as it was 2,000 years ago. You have heard that it was said to those of ancient times, “Do this and don’t do that,” but what Jesus says to us is to do more, go beyond the law, strive for something incredible, work for the kingdom, let God’s Word be incarnate in your lives, imagine a more graceful and purposeful life, seek out the last, least, and lost, be better than good, be holy as your heavenly father is holy. 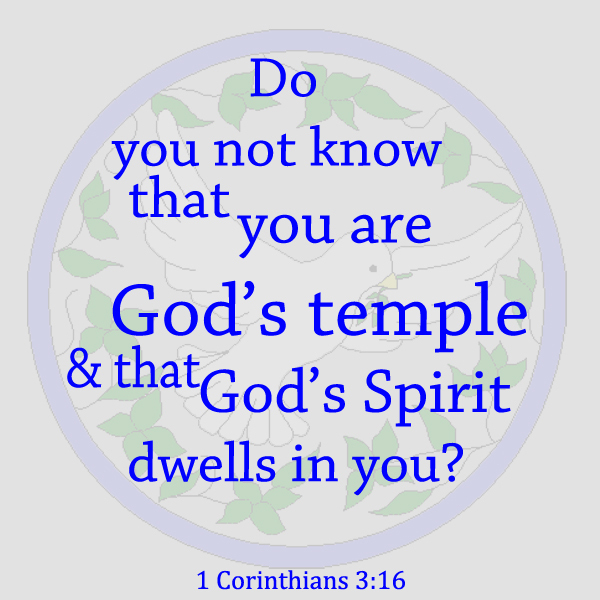 Do you know that you are God’s temple and that God’s Spirit dwells in you? While preaching yesterday morning I mentioned, anecdotally, a practice regarding ship building. During the time of Jesus (and even today in some places) a gold coin would be placed underneath the mainmast of most sailing vessels. Some claim that this practice began with the Romans as they used the coin to appease the gods. Others believe that the Romans placed the coin to help purchase a spot in the afterlife for the sailors who were lost at sea. Regardless of the true beginning of the tradition, it helped to show other sailors that even a wreck had value. Years ago, while approaching the end of a mission trip in Costa Rica, I helped lead a group of young people through a foot-washing service. A basin and chair was set up in the middle of the room and, after reading the appropriate scripture from the gospel according to John, I encouraged those present to find someone that had made a particular impact on them that week (positively or negatively) and then ask to wash their feet. With soft music playing in the background I witnessed God’s grace manifest in the tears that poured on the ground from those washing, and from those who were being washed. It is a remarkably humbling thing to kneel and take someone’s feet into your hands, but perhaps even more humbling is to have someone wash your feet. As the service continued I noticed that one of the older boys was dutifully making his way through the entire room asking to wash everyone’s feet. Every time someone sat in the chair before him he would focus intently on what he was doing, demonstrating God’s love through his fingers and the water. So, as we begin a new week I ask: Do you know that you are God’s temple and that God’s Spirit dwells in you? Do you know that you have worth, that you are special, that you are wonderful? Do you know that God loves you for who you are no matter what? Praise the Lord! Happy are those who fear the Lord, who greatly delight in his commandments. Their descendants will be mighty in the land; the generation for the upright will be blessed. Wealth and riches are in their houses, and their righteousness endures forever. They rise in darkness as a light for the upright; they are gracious, merciful, and righteous. It is well with those who deal generously and lend, who conduct their affairs with justice. For the righteous will never be moved; they will be remembered forever. They are not afraid of evil tidings; their hearts are firm, secure in the Lord. Their hearts are steady, they will not be afraid; in the end they will look in triumph on their foes. They have distributed freely, they have given to the poor; their righteousness endures forever; their horn is exalted in honor. The wicked see it and are angry; they gnash their teeth and melt away; the desire of the wicked comes to nothing. Immediately he made his disciples get into the boat and go on ahead to the other side, to Bethsaida, while he dismissed the crowd. After saying farewell to them, he went up on the mountain to pray. When evening came, the boat was out on the sea and he was alone on the land. When he saw that they were straining at the oars against an adverse wind, he came towards them early in the morning, walking on the sea. He intend to pass them by. But when they saw him walking on the sea, they thought it was a ghost and cried out; for they all saw him and were terrified. But immediately he spoke to them and said, “Take heart, it is I; do not be afraid.” Then he got into the boat with them and the wind ceased. And they were utterly astonished. It happened in a small town in a small United Methodist Church. A single mother was struggling to raise her two boys who were the talk of the town. At 10 and 12 years of age, the two brothers were often responsible for any of the “accidents” in town. They regularly vandalized certain buildings, were known for shoplifting candy from the local 7-11, and would ding-dong-ditch any house they could find. Yet, on Sunday morning, there they were sitting on either side of their mother in church. The boys would politely greet the minister when they walked in, sat quietly, but during the sermon they loved to make farting sounds while the preacher paused in a sermon. Now because the mother was raising the boys all alone, many of the people in the community that wanted to do something about the two boys, felt that it wasn’t their place; that mother had enough on her plate. This type of behavior went on for some time. The boys would continue their antics, driving people crazy, until one day when the mother had had enough. The pastor at the local United Methodist Church was a young man fresh from seminary; he thought he had it all figured out. For weeks he had wanted to call out those two boys from the pulpit in the middle of a sermon, but he thought better of it, he would look down on that poor mother and let it go. “It will be my absolute pleasure,” The preacher replied. The following Sunday, after worship, the minister invited the two young boys toward his office, leaving one to sit outside while the other sat on the hot seat in the office. In order to achieve some sort of repentance from the boys, the preacher thought about teaching them that God is always present, and therefore sees everything. This, he hoped, would teach them to behave better. The boy began to fidget. The lack of response was beginning to irritate the pastor. And with that the boy jumped from his seat and hightailed it out of the office, grabbed his brother, and bolted for the parking lot. “Whats going on?” The one brother asked the other. In Mark’s gospel we learn about a time when the disciples got into a boat to go to Bethsaida. After dismissing the crowd, Jesus went up on the mountain to pray, leaving his disciples alone on the boat. When Jesus came down he saw how the disciples were straining against the wind so he did what the Son of God would do, he walked on the water out toward the boat. He intended to pass them by, but when they saw him walking on the water they were utterly terrified, they thought it was a ghost and cried out. But immediately Jesus spoke to them across the water, “Take heart, it is I; do not be afraid.” Then he got into the boat with them and the wind ceased. Yet, in Psalm 112, we hear about the blessedness of those who fear the Lord. To fear the Lord means that your heart is steady. If our hearts are fixed on evil, we shall become evil. If our hearts are fixed inwardly, we shall become ridiculously selfish. If our hearts are fixed upon things and possessions, we will become overwhelming materialist. All around us, perhaps even some of us, are failing because our minds and hearts are no longer steady, because our hearts are no longer fixed on the right thing. So the psalmist calls out, blessed are those who fear the Lord. Fear comes to all of us, to the bravest as well as the cowardly. Fear comes to the faithful and to the faithless. Fear can be a good thing, it warns us to keep our eyes peeled for the danger that might lurk just around the corner. Fear teaches us to respect our elders, teachers, and bosses. Fear reminds us of our finitude. However, to be mindful of fear is one thing, to be constantly panic stricken is another. A good friend of mine, raised in the church and pursuing a call to ministry, was once invited to a spiritual retreat at the cusp of high-school. For a long weekend, hundreds of young Christians would gather together in small groups to talk about the temptations of the world, how to keep the faith, and what it meant to walk with Jesus throughout their teenage years. They would also spend time as a large group worshiping, they would sing along to the contemporary Christian rock band, they would walk forward to receive communion together, and they would all reverently bow their heads to pray. On the last night of the conference, at the final worship service, at the height of the concluding sermon, the fire alarm went off. The ushers and facilitators rushed everyone out of the building, yelling at the kids to hurry up as they struggled to find their peers. My friend was rushed through one of the hallways, forced around dark corners, until he found himself standing outside in the parking lot. Fear can be a tool, but it can also warp and manipulate us. My friend refused to enter a church for years after that incident because of the way the people at his retreat attempted to manipulate his faith through fear. That is not the kind of fear that the psalmist calls blessed. When fear was the most appropriate response to the present circumstances, Jesus triumphantly declared, “Do not be afraid.” In the many chaotic moments of our lives, when bashed by the waves of the world, Jesus continues to call out to us, “Do not be afraid.” Christ is there with us on the rocky boats of life’s circumstances, God listens to our prayers, and the Holy Spirit moves through everyone of us to help transform this world into God’s kingdom. The disciples, the Israelites who sang Psalm 112, and all of us are not called to be motivated by fear, but instead motivated by love. The disciples did not leave everything to follow their God because he had promised them hard days and suffering, though that often comes if we take faith seriously, but instead they were offered a new way of living. Those who do not want to be afraid are those who have decided to see the world through the lens of faith, to be free from the tyranny of the world. People without fear are those who are fully open to the troubles and the needs of their fellow human beings. They, as the psalmist writes, rise in the darkness as a light for the upright, they are gracious, merciful and righteous. Their hearts are secure and firm in the Lord, they will not be afraid because they know the Lord is with them. 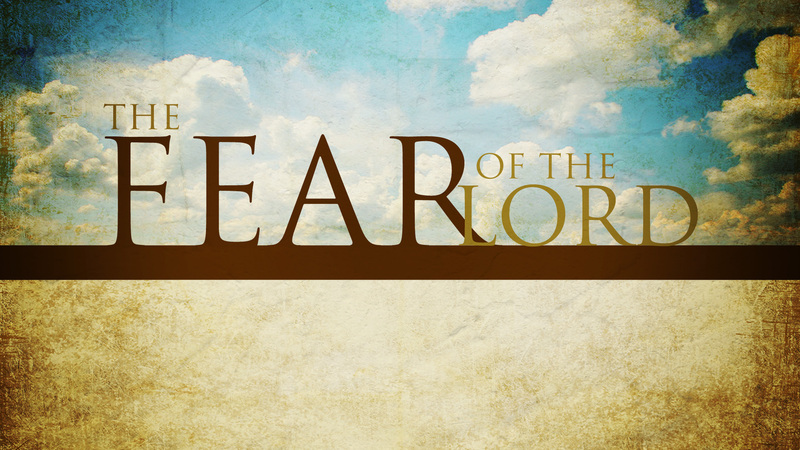 Fearing the Lord, as the psalmist writes, means loving the Lord. Loving God enough to realize that God wants to us to love one another, to strive for justice, to celebrate peace, to take faith seriously, but not take ourselves too seriously. Those who cannot sigh with others in the midst of suffering, and laugh a little bit about themselves are the ones who will be controlled by their fear. There has been plenty of fear used throughout the history of the church, perhaps today more than ever. Churches have become professionals with motivation by fear. If you don’t tithe, if you don’t believe, if you don’t commit to prayer, etc. 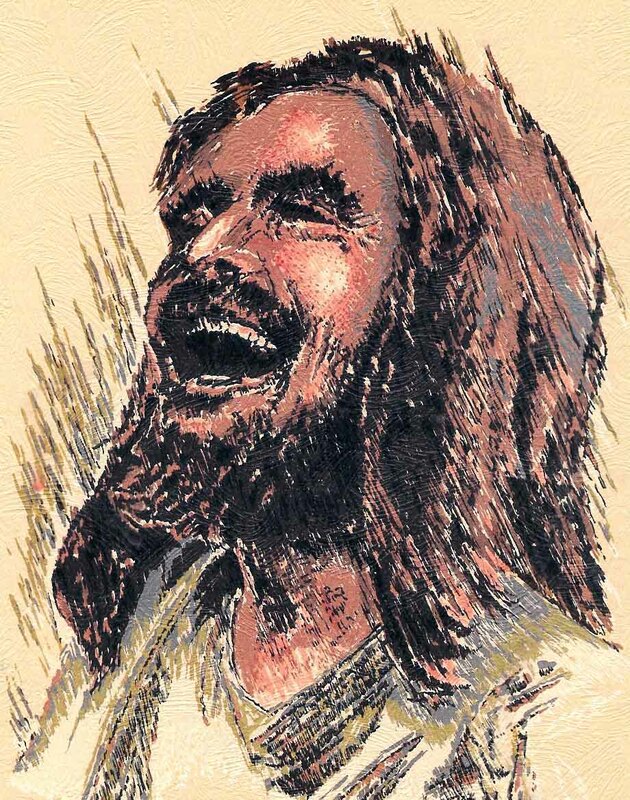 Right now, what we need more than fear is a little bit of laughter, we need some joy, we need to rediscover the happiness that the church contains for those who want to follow Jesus Christ. Laughter, joy, and excitement must have been a part of the disciples journey through faith. Thats why I started the sermon with a funny story about two young boys running out of a church. Until we can laugh together about the excitement of faith, then the fear of God will remain what many people get out of church. Happy are those who fear the Lord, because they realize that God’s love is incredible. We fear God’s love because we recognize that we do not deserve it. We fear God for welcoming us into this journey when we have so little to contribute. We fear God for inviting us into a place to be loved, when we feel unlovable. We have too often settled for the motivation of fear in church. Can you imagine what the church could look like if instead of gathering to hear about what we must do to change in our lives, we gathered out of joy and excitement and laughter? Blessed are those who fear the Lord, who greatly delight in his commandments. Let us all recover that sense of happiness and delight in our faith journeys. Let us be motivated by the good God who calls us by name to laugh, live, and love. Let us rekindle the flame of faith in our lives to be utterly astonished by the God who came to die, and live, for us. 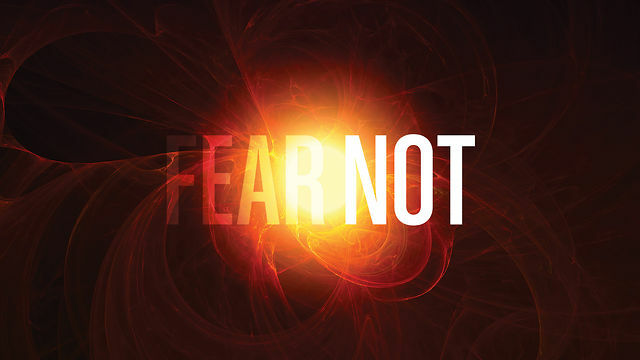 Fear not, for God is with you.